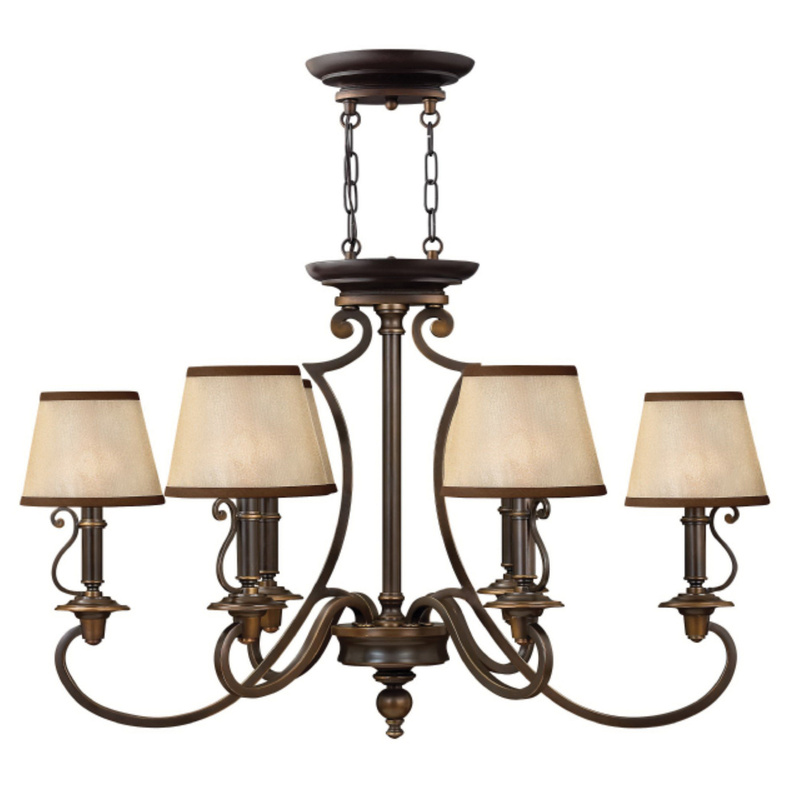 Hinkley Lighting Plymouth Collection Traditional style chandelier utilizes six 60-Watt lamps for lighting. It features light amber organza with decorative fabric trim shade for elegant look. The oval shaped chandelier with candelabra socket, has metal construction and old bronze finish for corrosion resistance and durability. It has 360-Watt fixture wattage and 120-Volt AC voltage rating. The chandelier supports ceil mounting and comes with 60-Inch chain and 72-Inch lead wire. Chandelier is CUS certified.